In September 2014, in the midst of the Donbass war, the Azov battalion was created in the Mariupol region by ultra-nationalist or ultra-football activists from Kharkiv. Soon the battalion enlarged, and joined the Ukrainian National Guard. It is then placed under the command of the Ministry of the Interior of Ukraine. At the end of 2014, it is composed of 800 volunteers, to reach more than 4000 in 2016. Today, Azov has become a very structured far-right movement in Ukraine. It has a military branch attached to the Ministry of Defence, with its own military school and a political branch the "National Corps" whose members are almost exclusively veterans. Their leader, Andreï Bilestky, in the 2000s, was openly a Neo-Nazi. The Azov Battalion also created its movement to supervise the children: The Azovettes. 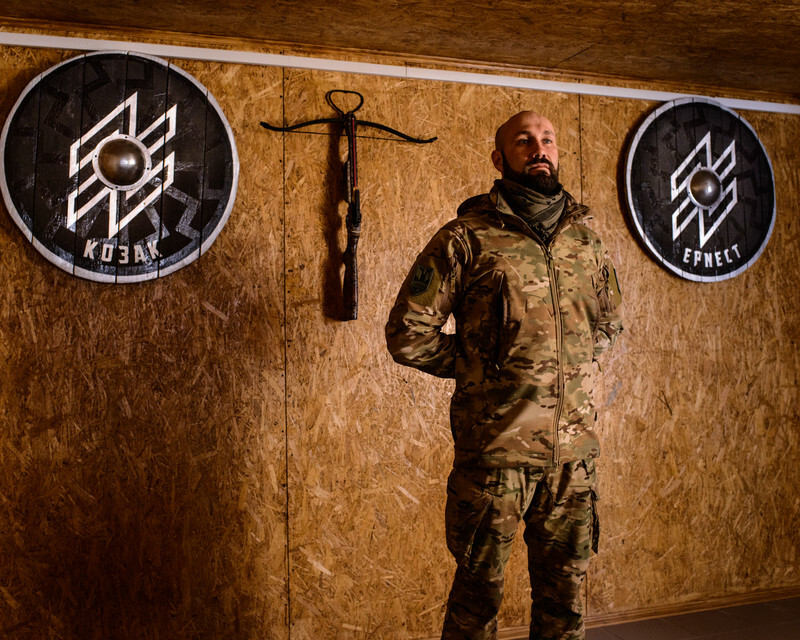 Every summer, they organise camps to teach military techniques and the history of a nationalist Ukraine. Moreover, on January 28, 2018, on the place of independence appeared the Drujyny (militia in Ukrainian). In a march through the center of the capital, with flags, torches and fists raised, more than 600 men were sworn in to this new formation of the paramilitary ultranationalist Azov Regiment. The Drujyny set themselves the goal of structuring youth by involving them in civic watch and law enforcement activities. A true parallel militia. The Azov battalion constituted a structured movement with a dubious aesthetic reminiscent of the 30s. Azov is today hybrid, with a political project. The Maidan Revolution in 2014, had created a lot of political hope. But the absence of a leader created a political vacuum that far right movements like Azov wanted to take. The question is how will they weigh in the upcoming 2019 presidential elections.